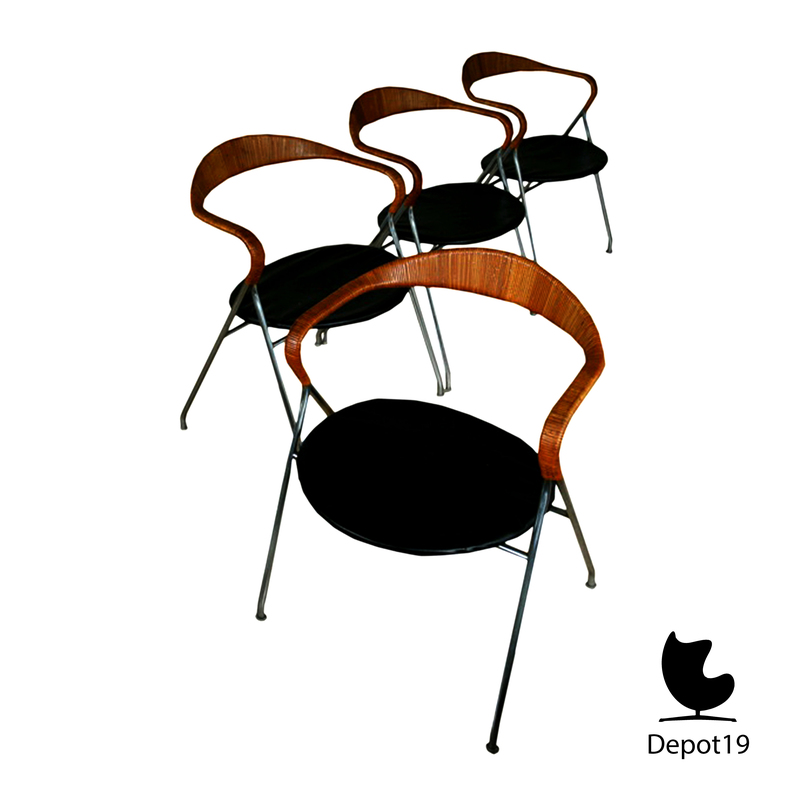 Chairs by Hans Eichenberger designed in 1955 for Metalbau Keller from Switzerland. Shell-shaped seat upholstered in leather. 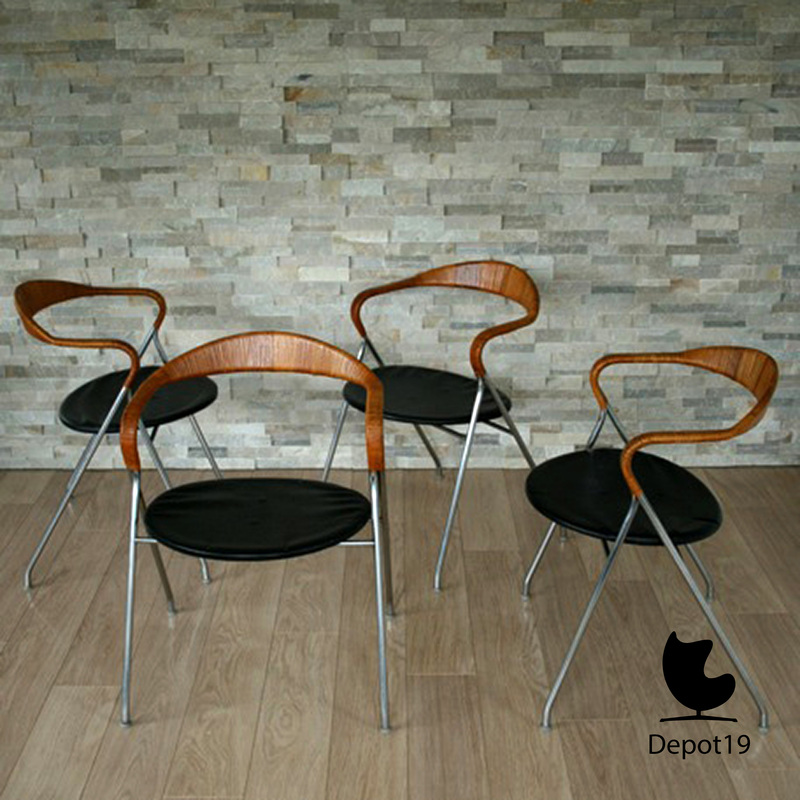 The chair legs run into the backrest which are wrapped in rattan. 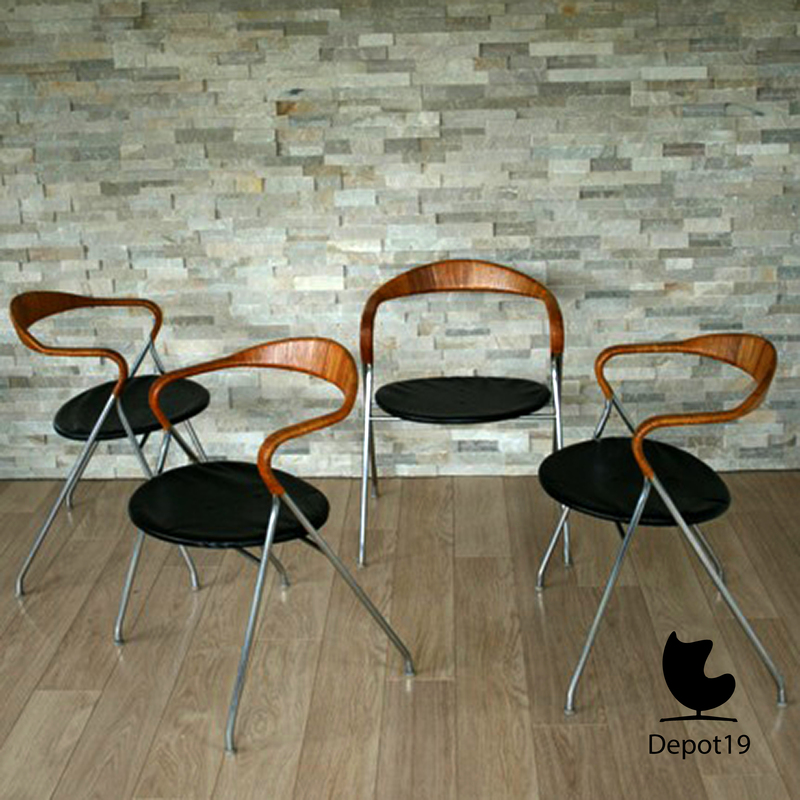 The chairs are in a very good original vintage condition. 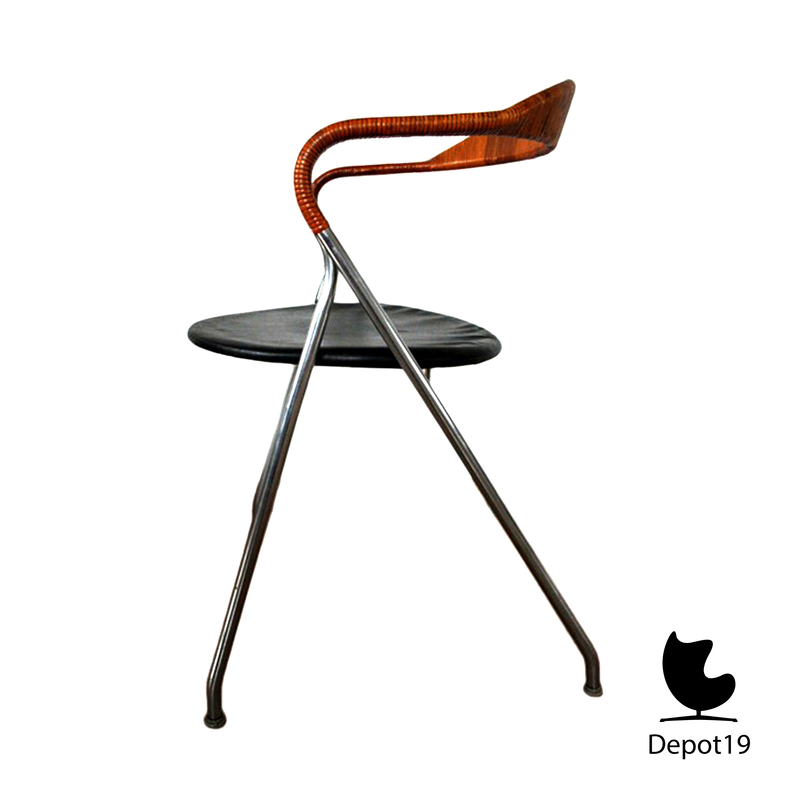 Material: Chome- plated tubular steel, rush, plywood, leather. 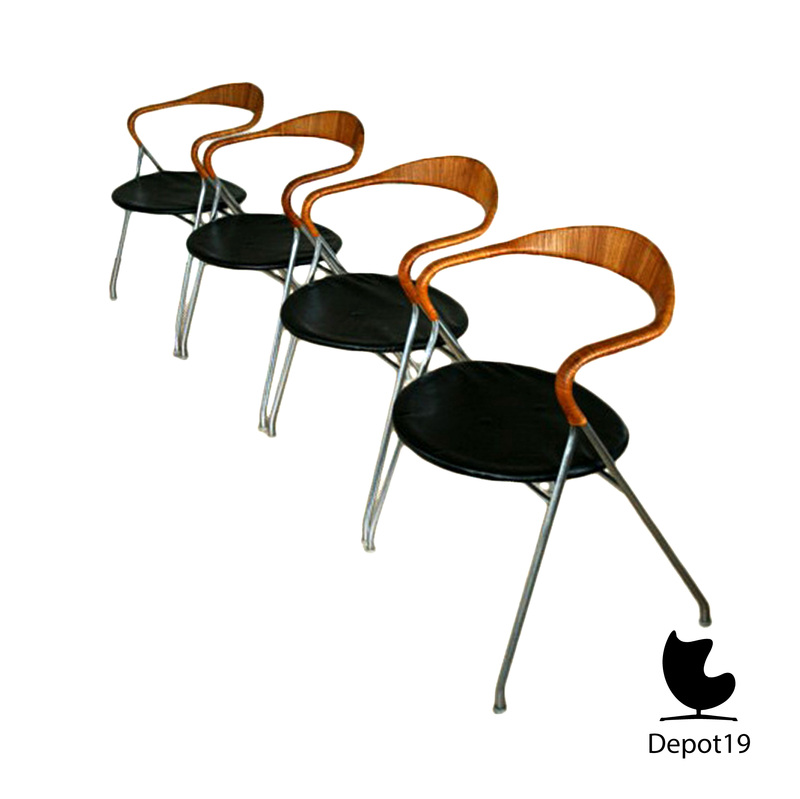 The chairs are all tagged with a label HH de Klerk Rotterdam and sale number 62 from 1956. The frames, which were made by a bicycle factory went to a basket weaver in the Teutoburg Forest and the finish took place at Kaufeld. The price is for one chair. Only for sale as set of 4. This product can only be picked up.